There are so many different apps around these days, that it can be tricky searching for the right ones. An online discussion group asked their users to recommend their favourite and most useful apps which other people may not have heard about. We’ve chosen 5 of the best ones which are definitely worth downloading. This one could certainly come in handy if you want to learn a new language or you’re struggling to help your kids with their language homework. 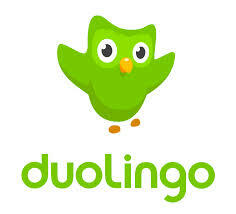 Duolingo has a choice of different languages to pick from which include Italian, French, Spanish, German and Portuguese. It’s fun and straightforward to use and it’s also won a few awards so it’s worth letting your kids have a go to improve their linguistic skills too. Usually if you need to scan documents, you’d have to be in the office or at home with a scanning machine hooked up to your laptop or PC. However the brilliant CamScanner app transforms your smartphone or mobile device into a scanning machine using the built-in camera. You just take an image of the document you want to scan (such as invoices, receipts, notes, contact details etc) and the app converts it into a PDF which can be stored on your mobile or emailed to another person. The app also comes with some great features so you can crop the images for your PDFs to size and make them clearer so they’re easier to read. You can also use AirPrint if you have an iPhone or iPad to print your PDFs straight from your Apple device – genius! No more lopsided or shaky videos with this clever Horizon app which ensures your video is always recorded horizontally no matter how you’re holding your Apple gadget. Ideal for letting the kids have a go at the videoing as whatever they do, their film will still be recorded level. There are also 8 filters to choose from with different effects and you can record using either the rear or front camera. If you’re always on the move for business and/or leisure it can be a job in itself just keeping track of all your travel arrangements and paperwork. This superb app can do it all for you as it basically stores all of your travel documents in one place and creates itineraries for each of your trips complete with flight details, hotel reservations, car hire bookings and restaurant reservations. Not only that but you can add in extras such as local maps of the areas you’re going to, directions, weather etc so you’ve got everything covered before you leave. It can also be synched with your laptop and can be viewed offline. If you’re guilty of hitting the snooze button a little too often and oversleeping then this app could be the answer to getting you out of bed. Rather than just reaching out and turning off or snoozing the alarm on your smartphone, Walk Me Up makes you get out of bed and do a certain number of steps before it will let you switch it off. It works by using algorithms so you have to walk the steps as it is clever enough to tell if you’ve been trying to shake your phone instead! So if you really struggle to get out of bed in the morning, we’d highly recommend it.